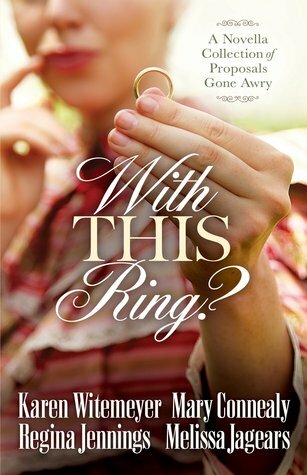 Review: Until The Dawn, Mountain Hideaway, & With This Ring? Home→review→Review: Until The Dawn, Mountain Hideaway, & With This Ring? I loved this book. From the first words I was hooked. Who wouldn’t be when they read, “‘That’s where the body was found…'” While it is categorized as Historical Fiction on the back cover, it definitely has a strong romance thread and, even better, a slight hint of intrigue. 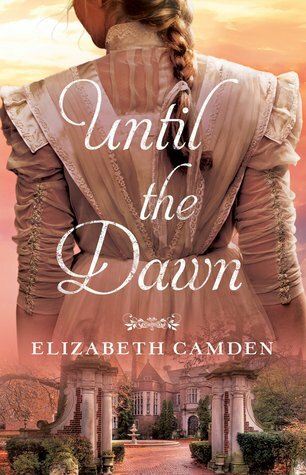 I’ve read Toward the Sunrise, which gives a little pre-hint into this story, but didn’t realize that until about a third of the way through this novel. Obviously not reading it won’t hinder your enjoyment of Until the Dawn. After being caught collecting evidence on her ex-boyfriend’s criminal dealings, Tessa Jones has no choice but to go into hiding. She feels safe in her mountain refuge, right up until private investigator Trent McCabe comes knocking—and bullets start flying their way. Now for the second time, Tessa is on the run. And Trent’s mission has shifted from tracking down a missing person to keeping the brave beauty alive. Trent once lost a woman in his care, and he won’t make the same mistake again. But Tessa trusts no one—not even Trent. Out in the wilderness with danger closing in, Tessa must make a choice: rely on the handsome stranger…or take her chances with a killer. 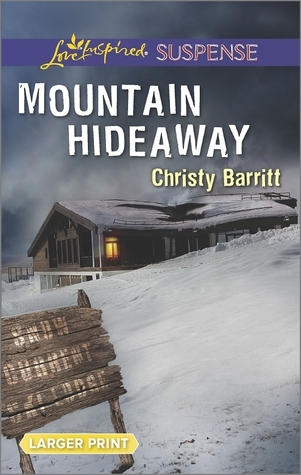 Another excellent Christy Barritt novel. Intrigue, excitement, and romance from the very first words. A definite must read. In Karen Witemeyer’s “The Husband Maneuver,” Marietta Hawkins decides to grab the reins when the ranch foreman she loves seems to be leaving forever. Regina Jennings offers “Her Dearly Unintended,” where friends stranded by a rising river pretend to be newlyweds when a dangerous stranger arrives. Mary Connealy’s “Runaway Bride” finds a Texas ranger getting more than he expected when he rescues a young woman fleeing a dangerous arranged marriage. And Melissa Jagears’ “Engaging the Competition” finds a young woman forced to assist the man she’s often sparred with after an accident leaves him helpless. I loved all four of these novellas. The heroines and heroes get themselves into strange predicaments, which forces them to work together, ending with them falling in love (not a spoiler, since we expect this in romance). The writing style of the four authors is compatible as they all used humorous incidents to their fullest potential to engage me, the reader. Each story took me (a fairly fast reader) about two hours, so, as with most novellas, it’s a nice break from life’s responsibilities.